This is the fifth in a series of posts on Grégoire Chamayou‘s Théorie du drone. My next post on the book will consider Chamayou’s second section, ‘Ethos and psyche‘, in its entirety, and when I’ve worked my way through the book in separate, detailed posts (three more sections to go after the next one) I’ll provide a critical overview of the project as a whole: I hope that will help (I must be doing something right – or wrong – since these posts have been picked up by the splendid ARmy Rumour SErvice, which – despite its equally splendid acronym – is not quite a digital child of the Wipers Times). 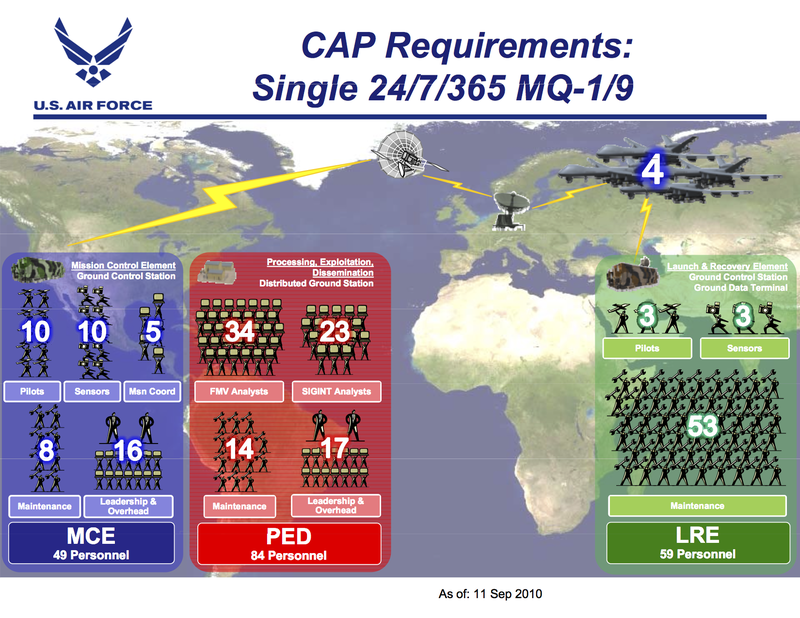 Far from being ‘unmanned’, each US Air Force combat air patrol (CAP) capable or providing coverage 24 hours a day 7 days a week involves a suite of four Predators (MQ1) or Reapers (MQ9) supported by a total of 192 personnel (the exact figures vary and are subject to change, but I’ve taken these from a June 2011 presentation by Colonel J.R. Gear, Director of the US Air Force’s Remotely Piloted Aircraft Task Force). As you can see from his presentation slide below, most of these (133) are based outside the combat zone, and 84 of those are devoted to ‘PED’ –processing, exploiting and disseminating the feeds from the airborne sensors, especially the full-motion video (FMV) streams. 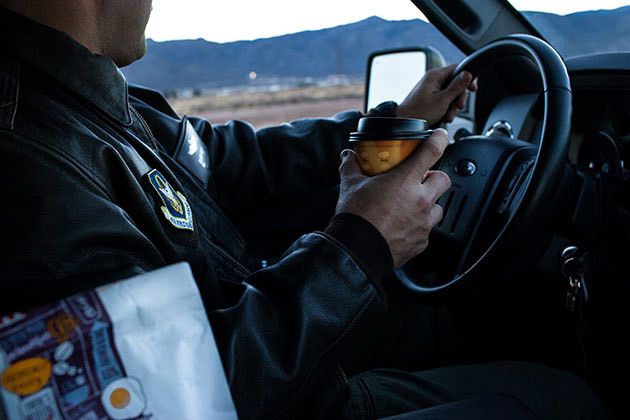 That leaves 59 who are forward deployed inside the combat zone: three pilots and three sensor operators to handle take-off and landing (which require a line-of-sight link to the aircraft because the Ku-band satellite link used for in-flight operations imposes a response delay that is too great for near-ground manoeuvres). One of the four aircraft is held on the ground for maintenance and, given the technical problems that continue to dog what Jordan Crandall calls the wayward drone, no fewer than 53 people are involved in keeping them flying. [More on drone crashes and glitches here, here and here]. Still, less than half the total complement (44 per cent) is in the combat zone, and all of them work from the relative safety of an airbase. I’ve always liked to take metaphors stubbornly literally, and given what is happening to the polar ice we need to ask about the invulnerability of these remote operations. Chamayou reminds us that in classical mythology and in fable invulnerability has always been a myth; so it is with the drone. He distinguishes two sets of vulnerabilities, one technical and the other political-strategic. Chamayou says virtually nothing about the technical imperfections of the Predator and the Reaper, especially the crashes and other failures that I noticed above, but concentrates on two other issues. With Obama’s ‘pivot to the Pacific’, the Pentagon has redoubled its efforts to harden its drones for combat (several commentators are sufficiently sceptical about the prospects that they see a renewed commitment to conventional strike-stealth aircraft rather than to UAVs). But perhaps the sharper point is contained in Bushey’s final sentence, and Chamayou spends much more time on this second, vital vulnerability. (2) ‘Mastery of the waves’: Chamayou documents a series of incidents in which signals were jammed or hacked. If signals transmitted from the drone can be hacked then, as Bushey noted, so can signals to the drone. This is known as GPS spoofing, and the basic principle is remarkably simple; for a technical exposition that isn’t, see this research paper ‘On the requirements for successful GPS spoofing attacks’ by four Swiss computer scientists (who also propose counter-measures), but for a more user-friendly discussion see Pierluigi Paganini‘s excellent overview of ‘Hacking drones’ here. 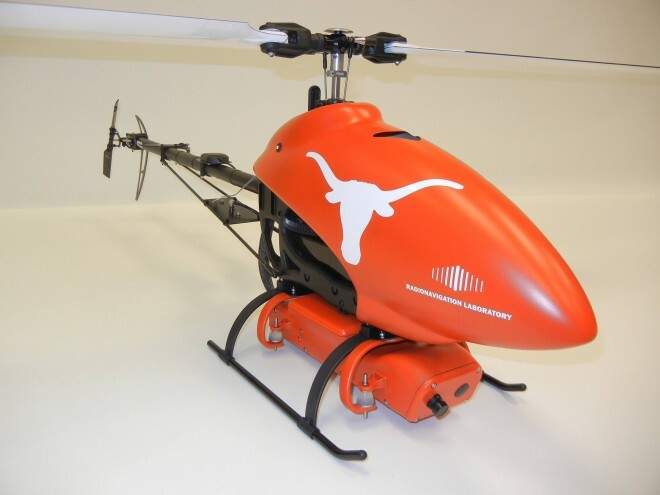 As Chamayou says, the principle was put into practice in June 2012 , when a group of researchers from the Radionavigation Laboratory at the University of Texas at Austin successfully hijacked a small civilian helicopter-drone at the White Sands Missile Range in Nevada. It was an experiment carried out for the Department of Homeland Security, the target was a tiny Adaptive Flight Hornet Mini (shown above) not a Predator or a Reaper, and the intercept took place at an altitude of less than 20 metres (60 feet) from a distance of 1 kilometre. This year they intend to repeat the experiment but from a distance of 10 kilometres. This is all part of an ongoing project to devise systems to disrupt spoofing, but Chamayou suggests that ‘the air pirates of the future’ will surely try to take control of larger drones from an even greater distance. 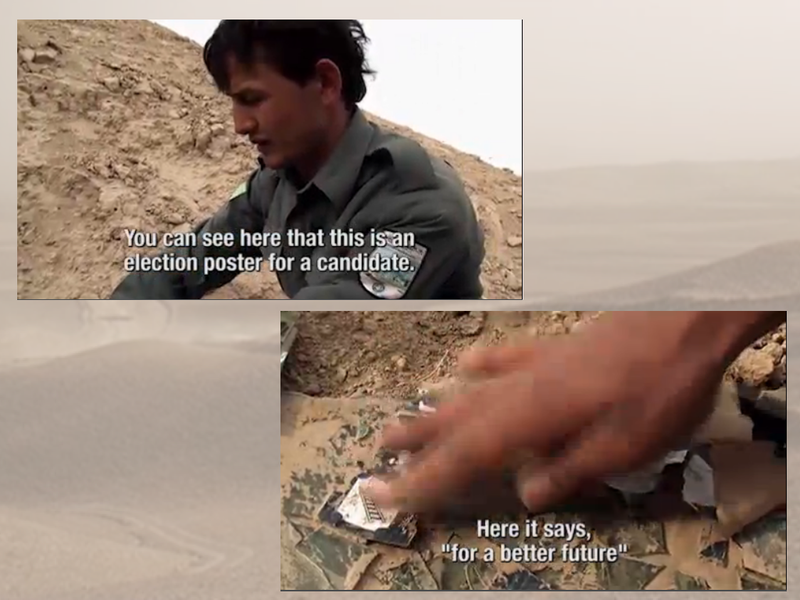 Here Chamayou is not addressing wider political, legal and ethical objections to which remote operations are indeed vulnerable – as I’ll describe in later posts – but rather the possibility of more direct responses to the deployment of drones. (1) Reprisals: Remote operations radicalise what Martin Shaw described in 2005 as The new Western way of war: ‘risk-transfer war‘. Although Shaw emphasised global surveillance, the minimisation of military casualties and an overwhelming reliance on airpower amongst other things – and his ‘rules of risk-transfer war’ are still essential if depressing reading – it is a sign of how far the world has turned since then that he provided no discussion of remote operations or the incorporation of drones as essential vectors of later modern war. On 21 June 2010, Pakistani American Faisal Shahzad told a judge in a Manhattan federal court that he placed a bomb at a busy intersection in Times Square as payback for the US occupations of Afghanistan and Iraq and for its worldwide use of drone strikes. When the judge asked how Shahzad could be comfortable killing innocent people, including women and children, he responded: ‘Well, the drone hits in Afghanistan and Iraq, they don’t see children, they don’t see anybody. They kill women, children, they kill everybody. It’s a war and in war, they kill people. They’re killing all Muslims.’ In a videotape [below] released after his arrest, Shahzad revealed that among his motives for the attack on New York City was revenge for the death of Baitullah Mehsud, a Pakistani Taliban leader killed in a drone strike in August 2009. While his comments were reported in the American press, the Obama administration never acknowledged that it was revulsion over drone strikes—which Shahzad was rumoured to have seen at first hand when training with militant groups in Pakistan—that prompted his attack. Although the incident would have strengthened his argument, Chamayou doesn’t mention it. 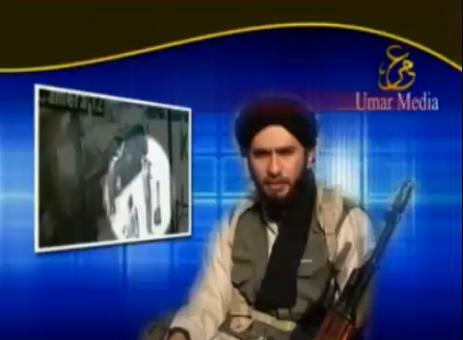 You can find more here; another video featured Pakistani Taliban leader Qari Hussain Mehsud claiming responsibility for what he described as retaliation against US drone attacks in the FATA (more detail here). The last sentence is pretty rich: the world Fukuyama envisages is already a reality for thousands of people in Pakistan, Yemen, Somalia and elsewhere, and they have to do rather more than ‘contemplate’ it. Still, these are Chamayou’s questions too. It is precisely the proliferation, diffusion and and above all the down-sizing and down-marketing of small drones that interest him. If they can be ‘demilitarised’ for civilian uses, including Fukuyama’s photographic obsessions, then he contends that it’s perfectly possible for them to be ‘re-militarised’ at remarkably low cost to constitute what Eugene Miasnikov was already calling six years ago ‘an army of suicide bombers on steroids’. 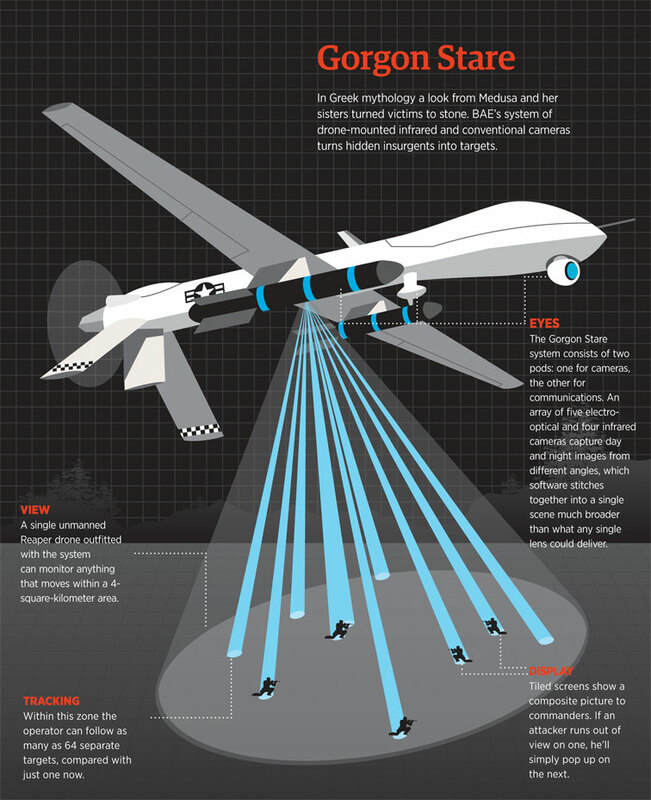 This may well be true – and, in a different vein, since October 2012 there have been (conflicting) reports of Israel shooting down two Iranian-made Hezbollah drones, so their adoption by non-state actors seems to be in train already – but it’s still a far cry from the hi-tech world of Predators and Reapers and the globalised killing machine for which they act as spears. 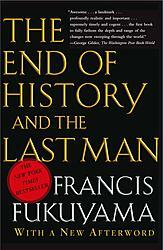 I’ll return to that world in my next summary and commentary on the book. This completes my extended discussion of the eight chapters that form Part I of Théorie du drone: Techniques and tactics. 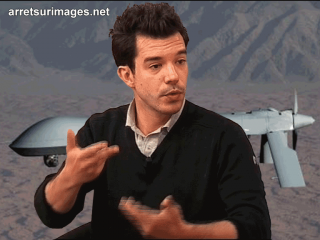 This is the fourth in a series of posts on Grégoire Chamayou‘s Théorie du drone. 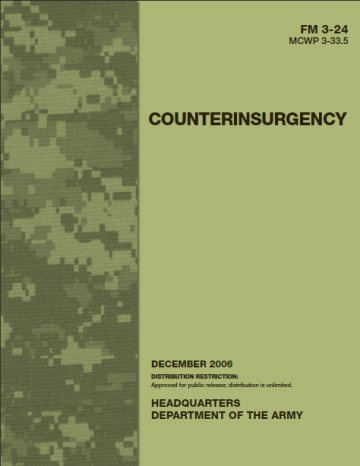 The focus of the new US Army /US Marine Corps Counterinsurgency Manual FM 3-24 that was issued in 2006 was, naturally enough, on ground operations in which the Army and the Marine Corps would take the lead. To the anger of many Air Force officers, air operations were relegated to a supporting role outlined in the last appendix, the last five pages of 335, which acknowledged the contribution of intelligence, surveillance and reconnaissance (ISR) from ‘air- mounted collection platforms’ and (in certain circumstances) the ‘enormous value’ of ‘precision air attacks’. 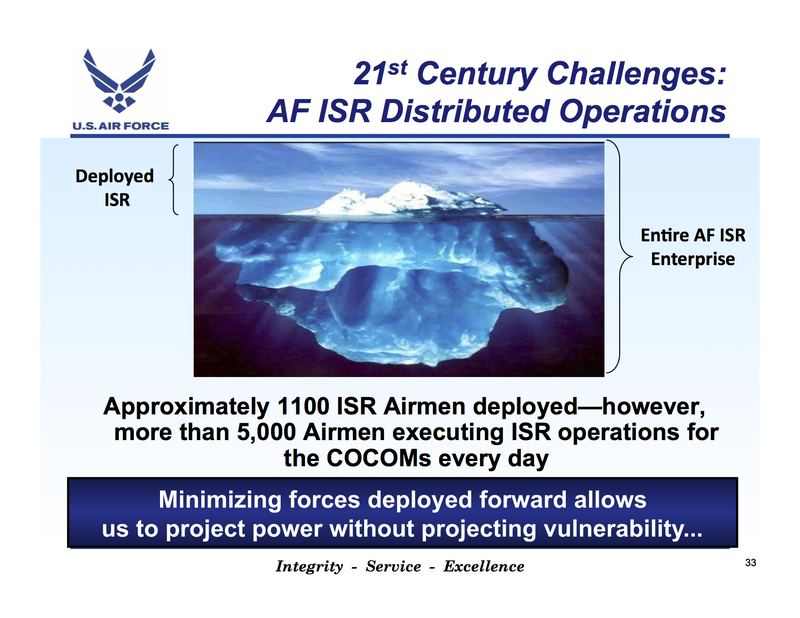 The role for airpower in COIN is generally seen as providing airlift, ISR capabilities, and precision strike. This outdated paradigm is too nar- rowly focused and relegates airpower to the support role while ground forces perform the “real” work. Worse, marginalizing airpower keeps it in support of ground-centric strategies that have proved unsuccessful. As the image heading his article makes clear, Meilinger – a gifted military historian – was not limiting the role of airpower to drones; far from it. But his repeated references to the Air Force’s ‘more sophisticated and effective sensor aircraft and satellites’ signalled their indispensable importance in the transformation of counterinsurgency from a ground-centric to an air-centric model. Those ‘revolutions’ – what Dunlap identified as ‘the precision and persistence revolutions’ – placed armed drones at the leading edge of counterinsurgency and, as Chamayou glosses these arguments, consigned previous objections to the dustbin of history. It’s a revealing essay that accords closely with Chamayou’s central thesis: Benjamin reported that, from the Combined Air Operations Center in Qatar, ‘they are stalking prey’ and that the US Air Force had turned the art of searching for individuals into a science. But Dunlap cooly added: ‘The last statement may be more insightful than perhaps even Benjamin realized.’ For it was not only a matter of killing, ‘blowing a man to smithereens’, and what Dunlap had in mind was not only persistent presence but also persistent threat: the ability to ‘dislocate the psychology of the insurgents’ who now never knew where or when they might be attacked. For this reason Chamayou suggests that the drone effects a sort of détournement on the strategies and weapons of the insurgent-terrorist – the skirmish and the ambush, the IED and the suicide bomb – to become what he calls, through this radical reversal, ‘the weapon of State terrorism’. Its short-lived engagements happen without warning and target individuals without compunction. And yet, for all its technological sophistication, Chamayou insists that this is not a new strategy. 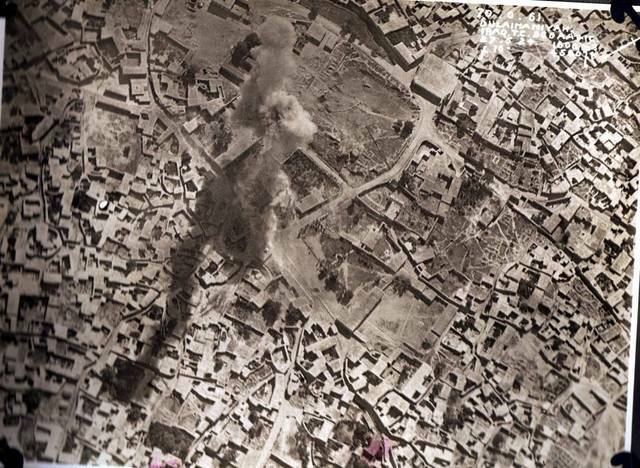 Military historians ought to look further back, he suggests, to the policies of colonial ‘air control’ developed in the inter-war period (the image below shows a bomb dropped by the RAF on Sulaimaniyah in Iraq on 27 May 1924: more here). He develops this argument in a later chapter, where he describes the drone as ‘the weapon of an amnesiac post-colonial violence’ (p. 136): a postcolonialism that has forgotten – or suppressed – its own wretched history. As far as I know, Lawrence has not been invoked by any of the contemporary advocates of airpower in counterinsurgency – though he has been called ‘Lawrence of Airpower‘ – but many of these formulations and their successors, translated into an ostensibly more scientific vocabulary, reappear in contemporary debates about the deployment of drones in counterinsurgency. In fact, Meilinger had conceded the relevance of these historical parallels. ‘It would be useful to revisit the “air control” operations employed by the Royal Air Force in the Middle East in the 1920s and 1930s,’ he wrote. ‘These operations were not always successful in objective military terms, but they were unusually successful in political terms, in part because they carried a low cost in both financial and casualty terms’ (my emphasis). Both Chamayou and I cite this passage, and you can find more about the colonial bombing of Waziristan in a previous post (scroll down). Estimates of combatant and civilian casualties remain contentious, of course, including those used by Kilcullen and Exum; Chamayou doesn’t discuss this in any detail, but most sources (including the Bureau of Investigate Journalism) suggest that civilian casualties in Pakistan have fallen from their peak in 2009-10. Others have argued that drone strikes are more effective than their critics claim. Their confidence typically rests on a combination of assertion and anecdote, but a recent quantitative study by Patrick Johnston and Anoop Sarbahi (from which I’ve borrowed the map below) purports to show that, contrary to Kilcullen and Exum’s original claim, US drone strikes between January 2007 and September 2011 reduced the incidence of militant activity in the FATA. (1) counterinsurgency is a politico-military strategy that depends, for its effectiveness, on a sustained presence amongst a population: a politics of verticality (described in my previous post) cannot substitute for, and usually confounds, a properly population-centric campaign, which can only be won on the ground. (2) the ‘dronisation’ of US military operations signals a shift away from counterinsurgency and towards counter-terrorism, which is a police-security strategy that prioritises an individual-centric campaign. It’s an engaging argument, but I think it’s over-stated for several reasons. 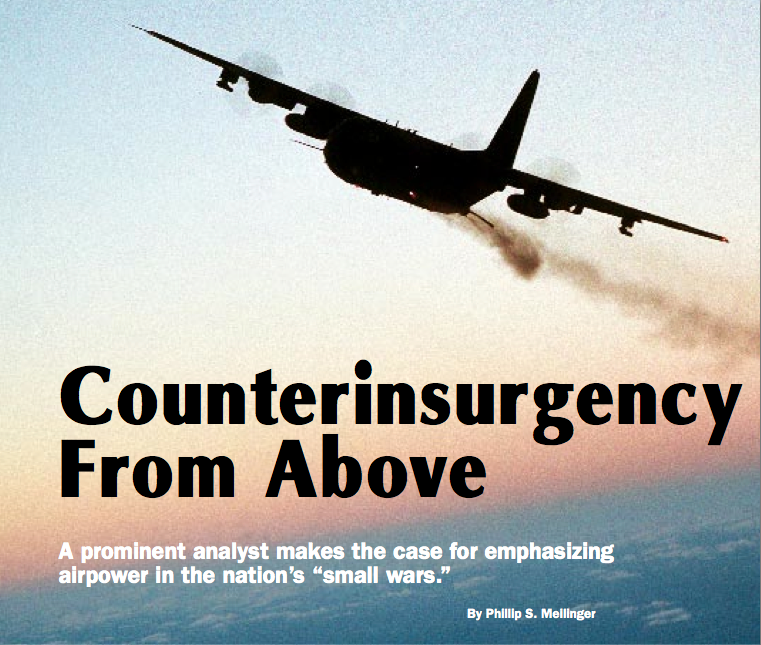 First, contemporary counterinsurgency clearly has not ceded the statistical battleground to anyone. Under David Petraeus in particular, cascades of PowerPoint slides sluiced a tidal wave of metrics over military and public audiences, and these too were often disconnected from events on the ground. As I showed in “Seeing Red” (DOWNLOADS tab), for example, at the height of the violence in Baghdad military briefers preferred the virtual-cartographic to the visceral-physical city, ‘walking’ reporters through maps of the capital because, for all their upbeat assessments, it was far too dangerous to walk them through the real city that lay beyond the Green Zone. 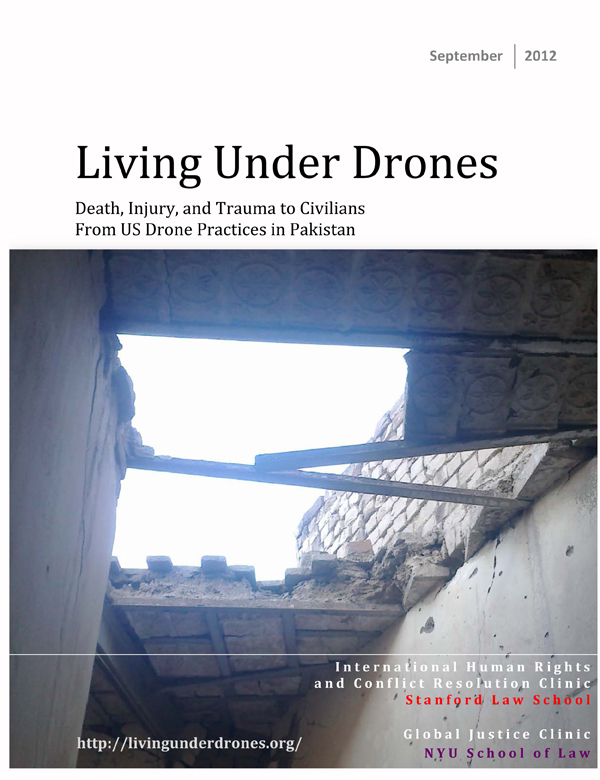 And so far it has proved impossible to obtain any figures of fatalities from drone strikes in the FATA from Obama’s otherwise garrulous ‘off-the-record’ (and, remarkably, never prosecuted) officials. As I showed in “The rush to the intimate” (DOWNLOADS tab), more often than one might think. Chamayou is perfectly correct to say that ‘drones are excellent at crushing bodies from a distance, but they are perfectly inappropriate for winning “hearts and minds”‘: but counterinsurgency, even in its supposedly radically new form, involves both. They treat this as a transformation of what Chamayou would call the ‘logics’ of intervention: from ‘a conventional struggle to eliminate adversaries’ to a ‘productive reconstitution of the life of a population’ (which requires ‘marking out what qualities the “good” life must possess, whilst in the process positively rendering dangerous all “other” life which does not comply with the productive remit). In other words (their words), a switch from sovereign power to bio-power. I have my reservations about the theoretical argument, but in any case the transformation was far from stable or straightforward. In December 2009 Obama committed thousands of extra ground troops as part of a revitalized counterinsurgency campaign in Afghanistan; they were supported by a continued increase in drone operations. And Obama had also authorised a dramatic increase in CIA-directed drone strikes in Pakistan. 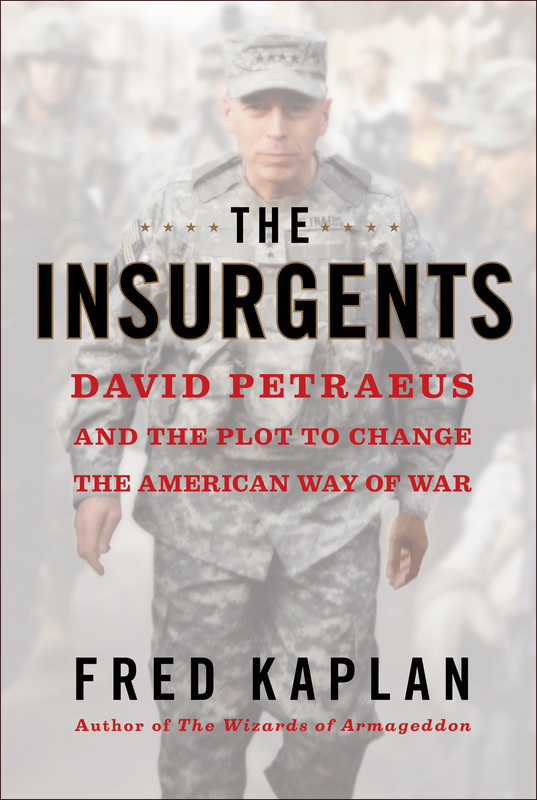 But in June 2011 he announced the withdrawal of those additional troops: as Fred Kaplan puts in The insurgents, ‘pulling the plug on COIN.’ All of this va-et-vient was, as Kaplan shows in exquisite detail, more than a philosophico-logical affair: it was also profoundly political, and included considerations of domestic US politics, concerns over the Afghan state in general and the re-election of Hamid Karzai in particular, and no doubt calculations of advantage within the US military. In short, while Chamayou is surely right to accentuate the politics of military violence this is not confined to the ‘inside’ of counterinsurgency – COIN as ‘applied social work’, as Kilcullen once described it – because politics also provides one of its activating armatures. (I’ve discussed Kaplan’s view of drone strikes and what he sees as an emerging imaginary of ‘the world as free-fire zone’ here). For all that, Chamayou’s dissection of the ‘reverse logics’ of these particular forms of counterinsurgency and counter-terrorism is analytically helpful, and adds another dimension to his argument about the transformation of war from battlefields to hunting grounds and from armies to individuals. He insists that the commitment to targeted killing (by drone or, I would add, Special Forces) is a commitment to ‘an infinite eradicationism’ in which it becomes impossible to kill leaders (‘High Value Targets’) faster than they can be replaced. In his vivid image, the hydra constantly regenerates itself as a direct response to the very strikes that seek to decapitate it. ‘Advocates for the drone as the privileged weapon against terrorism promise a war without loss or defeat. 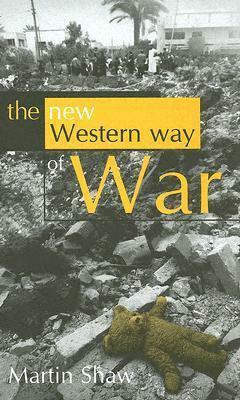 They fail to note that this will also be war without victory’ (p. 108). This is the third in a series of posts on Grégoire Chamayou‘s Théorie du drone, in which I provide a detailed summary of his argument, links to some of his key sources, and reflections drawn from my soon-to-be-completed The everywhere war (and I promise to return to it as soon as I’ve finished this marathon). Chamayou begins with the so-called ‘Terror Tuesdays‘ when President Obama regularly approves the ‘kill list’ (or disposition matrix) that authorises ‘personality strikes’ against named individuals: ‘the drones take care of the rest’. But Chamayou immediately acknowledges that most strikes are ‘signature strikes‘ against individuals whose names are unknown but for whom a ‘pattern of life analysis‘ has supposedly detected persistent anomalies in normal rhythms of activity, which are read as signs (‘signatures’) of imminent threat. I’ve described this as a militarized rhthmanalysis, even a weaponized time-geography, in ‘From a view to a kill’ (DOWNLOADS tab), and Chamayou also notes the conjunction of human geography and social analysis to produce a forensic mapping whose politico-epistemological status is far from secure. These necro-methodologies raise two questions that Chamayou doesn’t address here. The first, as Porter notes, is that ‘guilt by association’ is ‘clearly at odds with the criteria used in [international] humanitarian law to distinguish between combatants and civilians.’ You can find a much more detailed assessment of the legality of signature strikes (and what he calls their ‘evidential adequacy’) in Kevin Jon Heller‘s fine essay, ”One hell of a killing machine”: Signature strikes and international law’ [Journal of international criminal justice 11 (2013) 89-119; I discussed a pre-publication version here]. The geo-legal ramifications of these attacks reach far beyond the killing grounds. Earlier this month in the High Court in London one man who lost five relatives in the air strike in Takhar (as you can see on the slide above, on an election convoy) challenged the legality of the alleged involvement of Britain’s Serious and Organised Crimes Agency (SOCA) in drawing up the kill-list, the Joint Prioritized Effects List, used by the military to authorise the attack: more here, here and here. (It was the presence of names on the list that triggered the faulty network analysis). Hence, of course, ‘Bugsplat’ [according to Rolling Stone, ‘the military slang for a man killed by a drone strike is “bug splat,” since viewing the body through a grainy-green video image gives the sense of an insect being crushed’], and a host of other predatory terms (see also here) that distinguish between this mere (bare) life and what Judith Butler calls ‘a life that qualifies for recognition’. Later modern war more generally works through relays of biological-medical metaphors – equally obviously in counterinsurgency, as I’ve described in “Seeing Red” and other essays (DOWNLOADS tab), where the collective enemy becomes a ‘cancer’ that can only be removed by a therapeutic ‘killing to make live’ (including ‘surgical strikes’) – and Colleen Bell has provided an illuminating series of reflections in ‘Hybrid warfare and its metaphors’ [in Humanity 3 (2) (2012) 225-247] and ‘War and the allegory of medical intervention’ [International Political Sociology 6 (3) (2012) 325-8]. 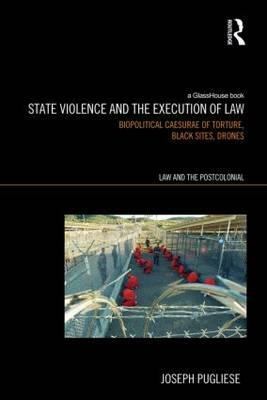 ‘As mere patterns of pathogenic life, these targeted human subjects effectively are reduced to what Giorgio Agamben would term ‘a kind of absolute biopolitical substance’ that can killed with no concern about the possibility of juridical accountability: they are ‘bare life’ that can be killed with absolute impunity. Anonymous ‘patterns of life’ signify in contradistinction to legally named persons; they exemplify the ‘ontological hygiene’ legislated by US government policy in order to secure the reproduction of the ‘principle of scarcity with respect to agency and personhood’. Chamayou notes that the ‘war on terror’ loosed the dogs of war from their traditional boundaries in time and in space: at once ‘permanent war’ and, as he notes, ‘everywhere war’. But for Chamayou it is more accurate to speak of the world turned into a ‘hunting ground’ rather than a battlefield, and this matters because two different geographies (his term) are involved. War is defined by combat, he explains, hunting by pursuit. Combat happens where opposing forces engage, but hunting tracks the prey, so that the place of military violence is no longer defined by a delimited space (‘the battlefield’) but by the presence of the enemy-prey who carries with him, as it were, his own mobile halo of a zone of personal hostilities. To escape, the quarry must make itself undetectable or inaccessible – and the ability to do so depends not only on physical geography (terrain) but also on political and legal geography. For this reason, Chamayou argues, the US has rendered contingent the sovereignty of Pakistan because it (for the most part unwillingly) provides sanctuary to those fleeing across the border from Afghanistan. In such circumstances, what becomes crucial for the hunter is not the military occupation of territory but the ability to control trans-border spaces from a distance through the instantiation of what Eyal Weizman called the politics of verticality that has since captured the attention of Stuart Elden [“Secure the volume: vertical geopolitics and the depth of power”, Political Geography 34 (2013) 35-51], Steve Graham [“Vertical geopolitics: Baghdad and after”, Antipode 36 (1) (2004) 12-23] and others. For this to work, as Weizman shows in the case of occupied Palestine, air power is indispensable. Chamayou suggests that the US has refined this capacity – in effect, finely calibrated the time and space of the hunt – through the concept of the kill-box. I’m not so sure about this; the lineage of the ‘kill-box’ goes back to the USAF’s ‘target boxes’ [target boxes around An Loc in Vietnam in 1972 are shown below] – and two or three specified ‘boxes’ or ‘Restricted Operating Zones‘ were used to define the Predato’s’ ‘hunting grounds’ over North and South Waziristan that were tacitly endorsed by the Pakistan state. 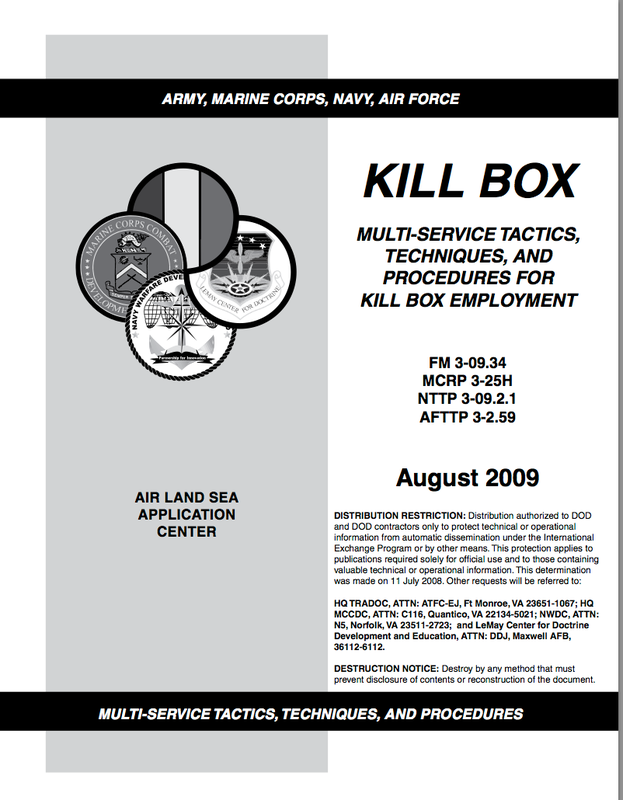 You can find more on kill-boxes and their operationalisation here. Chamayou doesn’t track the development of the concept, but since then the ‘kill-box’ has been supplanted or at least supplemented by the ‘Joint Fires Area’ as a way of continuing to co-ordinate the deployment of lethal force and allowing targets to be engaged without additional communication. 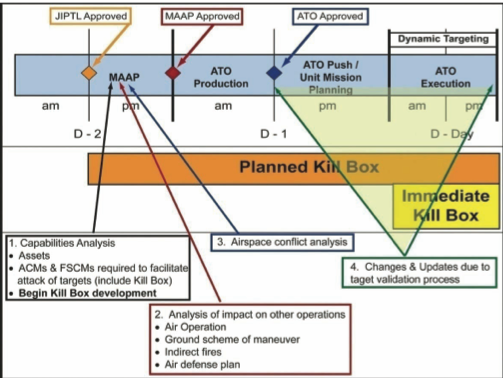 Within the grid of the JFA (shown below, taken from an essay by Major James Mullin on ‘redefining the kill box’) permission to fire in specified cells is established in advance; areas are defined, targeting intervals stipulated, and the time-space cells can be opened and closed as operations proceed. It is this capacity that Chamayou seizes upon: within the kill box targets can be engaged at will, so that the kill box, he writes, ‘is an autonomous zone of temporary killing’ (cf. the ‘free fire/specified fires zone’ in Vietnam: see my discussion of Fred Kaplan‘s recent essay, ‘The world as a free-fire zone‘). Chamayou implies that the schema has been further refined in contemporary counterinsurgency and counter-terrorism operations: the fact that the kill-box and its successor allow for dynamic targeting across a series of scales is crucial, he says, because its improvisational, temporary nature permits targeting to be extended beyond a declared zone of conflict. The scale of the JFA telescopes down from the cell shown on the right of the figure below through the quadrant in the centre to the micro-scale ‘keypad’ (sic) on the right. This is more than a grid, though; the JFA is, in effect, a performative space that authorises, schedules and triggers lethal action. Chamayou: ‘Temporary micro-cubes of lethal exception can be opened anywhere in the world, according to the contingencies of the moment, once an individual who qualifies as a legitimate target has been located.’ Thus, even as the target becomes ever more individuated – so precisely specified that air strikes no longer take the form of the area bombing of cities in World War II or the carpet bombing of the rainforest of Vietnam – the hunting ground becomes, by virtue of the nature of the pursuit and the remote technology that activates the strike, global. The system I’ve described here is one adopted by the US military, and how far its procedures are used by other agencies outside established conflict zones is unknown to me and doubtless to Chamayou too. Are these micro-cells used to specify individual compounds or rooms, as Chamayou suggests in a thought-experiment? For him, however, it’s the imperative logic that matters, and here Kaplan’s tag-line (above) can provide the key explanatory exhibit: ‘to kill a particular person anywhere on the planet.’ The doubled process of time-space calibration and individuation is what allows late modern war to become the everywhere (but, contra Kaplan, not the anywhere, because specified) war. This paradoxical articulation has sparked fierce debates among legal scholars – Chamayou cites Kenneth Anderson, Michael Lewis, and Mary Ellen O’Connell – over whether the ‘zone of armed conflict’ should be geo-centred (as in the conventional battlefield) or target-centred (‘attached to the body of the enemy-prey’). Jurists are thus in the front line of the battle over the extension of the hunting ground, he writes, and ‘applied ontology’ is the ground on which they fight. I’ll have more to say about this on my own account in a later post. This is the second in a series of posts on Grégoire Chamayou‘s Théorie du drone. Chamayou opens his discussion with a revealing vignette. In 2005 Texas entrepreneur John Lockwood developed a website, Live-shot.com, which promised a ‘real-time on-line hunting and shooting experience’. 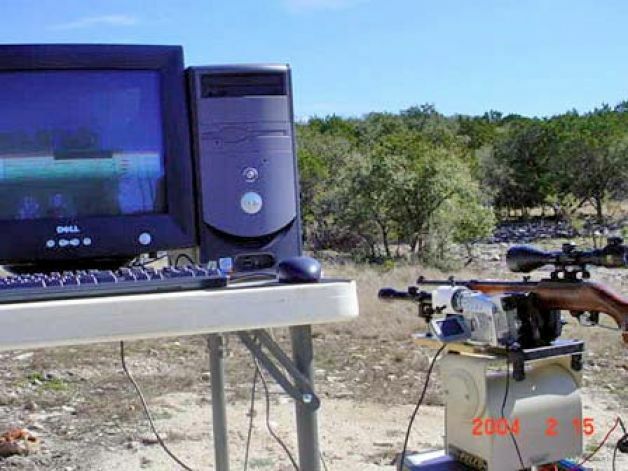 The cyber-hunter was after deer and other game kept for the purpose on a 300-acre ranch near San Antonio. There is a wonderful discussion of the project and its wider implications for experimental geopolitics by Alan Ingram [‘Experimental geopolitics: Wafaa Bilal’s Domestic Tension‘] in the Geographical Journal 1788 (2) (2012) 123-133. He explains that Bilal conceived Domestic Tension as a commentary on ‘remote control warfare’ after his brother had been killed in a strike by a US helicopter gunship called in by commanders watching a video feed from a Predator in the skies over Kufa. But Lockwood’s venture is even more revealing, particularly when juxtaposed with Domestic Tension, because it involved real-time killing (of captive deer, antelope and other animals) and after a public outcry it was eventually banned. A full report from the Washington Post is here. Even the National Rifle Association was up in – er – arms: its spokesperson declared, ‘We believe that hunting should be outdoors and that sitting in front of a computer three states away doesn’t qualify as hunting.’ Chamayou’s translation of one police officer’s condemnation – “It’s not hunting. It’s killing’ – becomes ‘It’s not hunting. It’s murder’, which artfully raises the stakes, but you get the point, which is about the hue and cry that attended killing animals on line while ‘man-hunting by remote control’ attracted considerably less public attention: then, anyway. Chamayou doesn’t track these responses, which surely sharpen his point, but he doesn’t really need to: I haven’t been able to find any critics who drew attention to the remote killings of people that were already taking place under the unblinking eye of US Predators in Pakistan and Yemen. (Incidentally, this chapter is illustrated by an image of a Predator firing a Hellfire missile; the photograph is all over the web – for example here – but, as James Bridle has shown, this now canonical image is in fact a Photo-shopped fake, ‘a computer-generated rendering of a drone … flying over an abstracted landscape’). For Chamayou those targeted killings are the effects of an apparatus that he describes as militarized man-hunting. He invokes George W. Bush’s line (in a speech at the FBI in February 2003) about the ‘war on terror’ being a ‘different kind of war’ that ‘requires us to be on an international manhunt’ to argue that that within a decade what seemed to most commentators at the time to be just a folksy Texan cowboy phrase had been converted into a state doctrine of non-conventional violence that combines elements of military and police operations without fully corresponding to either. He suggests that US Secretary of Defense Donald Rumsfeld was already playing with the possibilities of what Eyal Weizman has called thanatotactics. 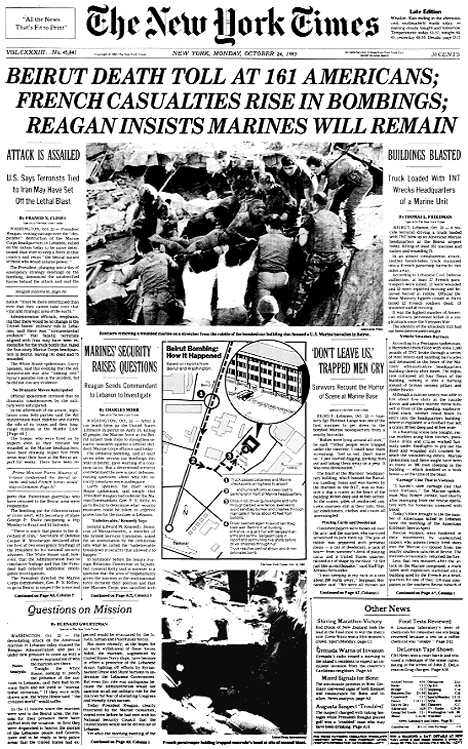 Rumsfeld was convinced that ‘Israeli techniques for dealing with Palestinian resistance could be simply scaled up.’ If the IDF had turned Gaza into a laboratory for targeted killing from the air, however, how could this be done by the Pentagon on the global scale? And – for some Pentagon insiders at least – how could this be done without having a new Phoenix program rise from the flames of what one adviser was already calling ‘preventive manhunting’? This is where those ‘theoretical principles’ start to emerge. Some of the most difficult issues concern the provision of a legal armature, as I’ll discuss in a later post (and it is these that interest me the most), but what Chamayou has more directly in mind here is the formulation of a military (rather than policing: the difference, as we’ll see, is crucial) doctrine to guide these operations. 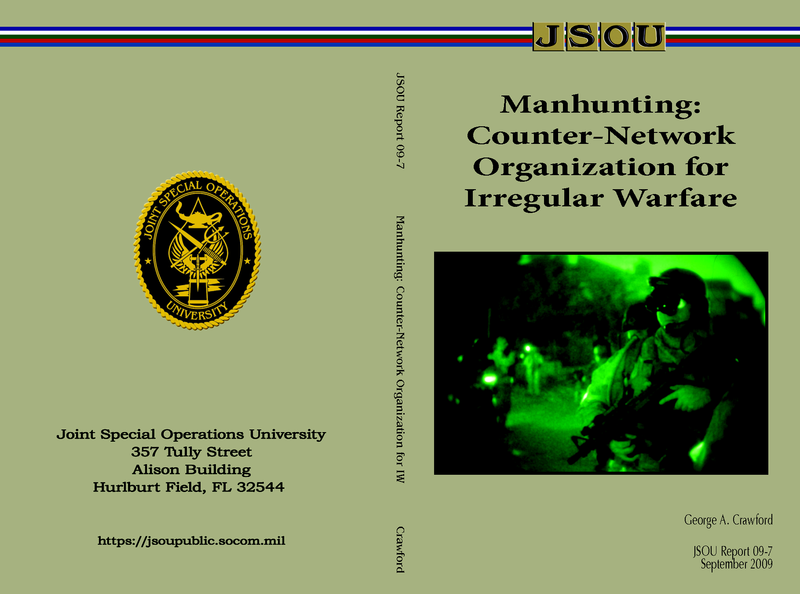 He suggests that its most developed form drew upon the work of a private-sector consultant, George Crawford, who published Manhunting: reversing the polarity of warfare in 2008 and a subsequent report for the Joint Special Operations University, Manhunting: counter-network organization for irregular warfare in 2009. Crawford’s report included a ‘chronology of American manhunting operations’, and out of that remarkably long history Chamayou fastens on the Pancho Villa Expedition in 1916. 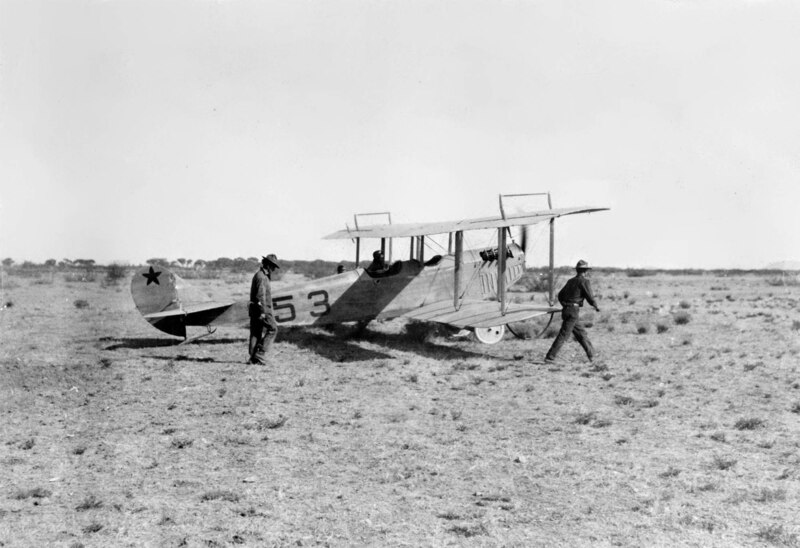 This was a massive (and spectacularly unsuccessful) ground operation across the US/Mexico border, in which thousands of US troops under the command of General Pershing penetrated deep into Mexico in an effort to capture the Mexican revolutionary leader Pancho Villa (who had conducted a series of cross-border raids into New Mexico). But the entire expedition was a failure, and the crucial lesson, spelled out by Crawford and repeated by Chamayou, was the imperative to reverse the polarity: instead of deploying large numbers of ‘boots on the ground’ – what Crawford ridiculed as using an elephant gun to swat ‘the terrorist mosquito’ – operations against non-state actors should be conducted by small teams networked into a targeted killing operation. This changes the terms of war not so much because the conflict is asymmetric, or even because it’s not about territorial gain, but rather because war is transformed from the classical paradigm of a duel into something quite other: ‘a hunter who advances, and a prey who flees or hides’. Firepower becomes less significant in terms of mass, while the precision and discretion with which firepower is employed takes on tremendous significance, especially during influence operations. Why drop a bomb when effects operations or a knife might do? Maneuver adopts new concept and form. In manhunting, friendly forces seek to engage the enemy. Like a lone insurgent, the enemy seeks to avoid the allied force, biding time until he has an opportunity to strike at vulnerable, unprotected, or noncombat assets. ‘Nexus Topography is an extension of the common practice of Social Network Analysis (SNA) used to develop profiles of [High Value Targets]. Currently, SNA examines the links in a social group, whereas, Nexus Topography is a template that can be used to construct a map of relationships in different social environments. Nexus Topography maps social forums or environments, which bind individuals together (this can be extended to include Dark Networks and Small Worlds). 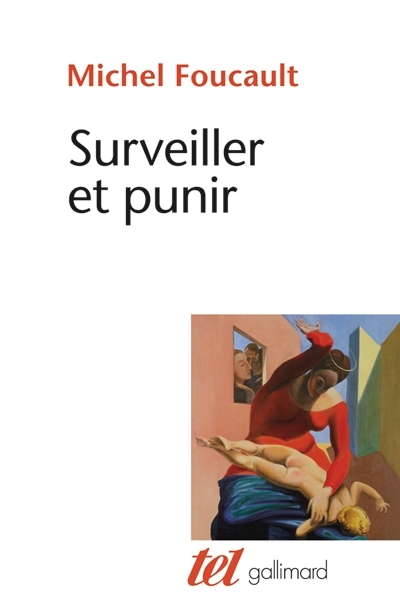 The English translation doesn’t capture Chamayou’s substitution, which is a play on the French title of Michel Foucault‘s Discipline and punish: Surveillir et punir. The reference to Foucault is entirely apposite. 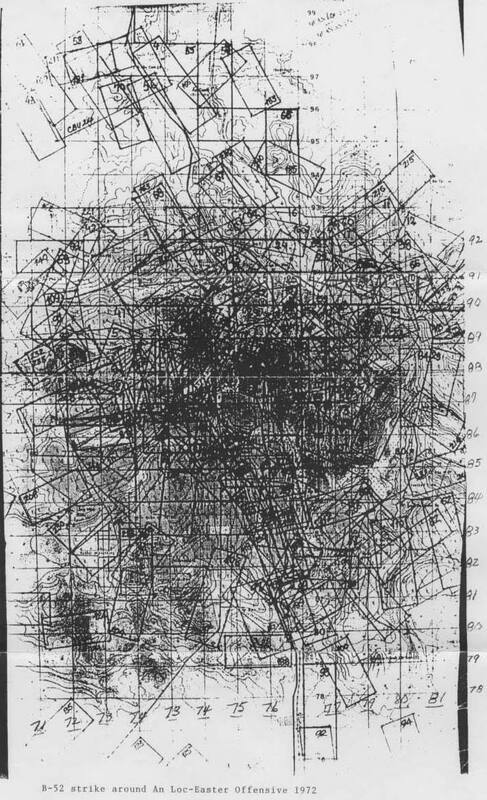 Chamayou’s central point here is that, within the apparatus of militarized man-hunting, ‘detection’ is above all a visual modality (and much of Foucault’s work involved a sustained interrogation of the gaze). Chamayou argues that drones promise something like a ‘God’s eye view’; their protagonists claim that their near real-time, full-motion and increasingly high-definition video feeds have revolutionised the capacity to provide a constant view of the enemy. 6: Detection of anomalies and pre-emption. The classical names given to these new political technologies of vision – like Gorgon Stare and Argus (in Greek mythology the hundred-eyed giant, which in DARPA-speak becomes Autonomous Real-time Ground Ubiquitous Surveillance) – confirm the premium placed on visibility or even hypervisibility. But Chamayou argues that this political technology is far more ‘economical’ than Bentham’s Panopticon, which Foucault uses so powerfully to figure modern surveillance, because it requires neither spatial partitions nor architectural demarcations. It is what Zygmunt Bauman might call a ‘liquid’ technology, since it needs only airspace to function (though the current interest in A2/AD (‘anti-access/areal denial’) is a sharp reminder that at present – and even for the foreseeable future – Predators and Reapers can only hunt in uncontested air space). And even more unlike the Panopticon, this political technology is not directed towards enclosure or confinement. Just as the Gorgon’s stare petrified its enemies to death, turning them into stone, so this too is a deadly gaze. 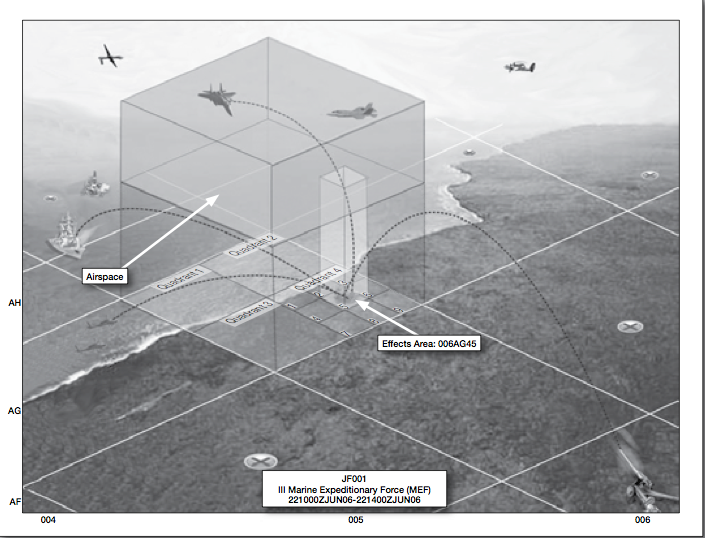 Video feeds trigger missile launches: ‘No longer surveillir et punir but surveiller et anéantir’ (annihilation) (p. 67). (Incidentally, how far the US will continue to fund some of these systems is unclear: recent reports suggest that the Pentagon is scaling back its funding for the Gorgon Stare, but the Air Force is still promoting the ARGUS-IS as its next-generation sensor technology). The shadows cast by these capacities are far longer than the supposedly ‘precision strikes’ they facilitate: they impose a new landscape of threat and dread. Here Chamayou invokes the Stanford/NYU report Living under drones (2012) to conclude that the presence of Predators and Reapers terrifies whole populations who live under them (see also my commentary here). Above and beyond the deaths and physical injuries they inflict, and the rubble, the rage and the bereavements they produce, Chamayou concludes that drones also produce ‘a psychic enclosure whose boundaries are no longer defined by bars, barriers or walls but by the invisible circles described overhead by the ceaseless gyrations of these flying sentinels’ (literally, ‘watch-towers’). As Chamayou’s patient excavation of these various principles proceeds, it becomes clear that the ‘doctrine’ that is coming in to view is much more than doctrine as the military understands the term. 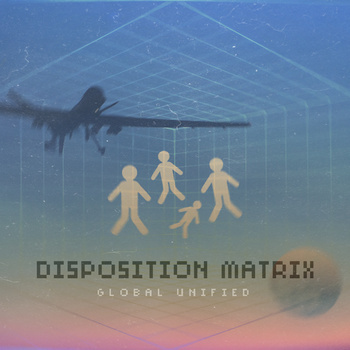 For the Pentagon, doctrine consists of those ‘fundamental principles by which the military forces or elements thereof guide their actions in support of national objectives. It is authoritative but requires judgment in application.’ The appeal to its authoritative status is significant, of course, and speaks directly to (or rather from) from the military chain of command. But what Chamayou is after in what elsewhere he calls ‘the manhunt doctrine‘ is something that transcends the military (this form of ‘man-hunting’ deliberately blurs the distinctions between conventional military and police operations to produce what Chamayou calls ‘hybrid operations, monstrous offspring [enfants terribles] of the police and the military, of war and peace’) and seeks to expose the political technologies, the discursive systems and the scopic regimes from which it derives its wider authority and through which it exercises its powers. 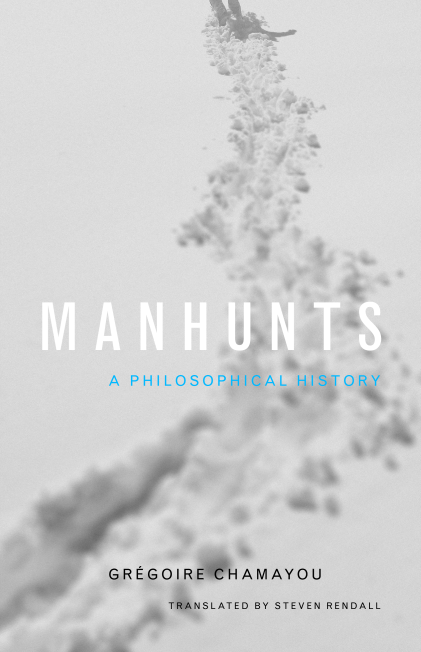 In doing so it follows directly from his previous work, Les chasses à l’homme (in English, Manhunts), which promises a philosophical history – or, as I said in my previous post, a genealogy. But Théorie du drone is more than the next chapter, because it has much to say about the transformation of ‘techno-war’ into something radically different, a modality of later modern war that is focused more than ever on the identification, pursuit and elimination of individuals. This is the first of a series of posts as I work my way through Grégoire Chamayou‘s Théorie du drone (2013), which has finally arrived on my desk. I’ve loosely summarised the project and its relation to Chamayou’s previous work before, and in these notes I’ll combine a summary of his argument with some extended readings and excerpts from his sources and some comments of my own. I hope readers will find these useful; they are an aide-memoire for me, and a way of working out some of my own ideas too, but do let me know if all this is helpful (especially for those with no French). I’m pleased to say that he draws on several of my essays about drone warfare, including ‘From a view to a kill’, ‘Lines of descent’, and even ‘The everywhere war’ (all available under the DOWNLOADS tab), so I won’t re-trace in any detail our (considerable) common ground. The first section of Theory of the drone is devoted to Techniques and Tactics and, as I noted previously, it’s good to read a philosopher engaging with the materialities and corporealities of contemporary war in such close detail. I’ll start with the first two chapters, which read together provide some more lines of flight for today’s remote operations. I don’t call these ‘genealogies’ lightly: as you’ll see next time, there are definite and deliberate echoes of Foucault in the argument (though Chamayou is no disciple). It’s become a truism to say that drones are ideally suited for ‘dirty, dangerous or difficult’ tasks, and Chamayou begins with an interesting article written by John W. Clark for the New Scientist in 1964 on ‘Remote control in hostile environments’. Clark described the development of technologies ‘of manipulation at a distance – what he called ‘telechirics’ (a term that Chamayou appropriates for his own purposes, from the Greek tele meaning ‘distance’ and kheir meaning ‘hand’) – so that people no longer had to expose themselves to danger to earn a living: from the extremes of outer space, exposure to nuclear radiation and deep ocean exploration to more mundane, everyday projects like fire-fighting, tunnelling, or mining. The key advance was the use of ‘a vehicle operating in the hostile environment under remote control by a man in a safe environment’. Clark emphasised the remoteness – ‘there is no direct connection between the operator and his machine’ – because in his view the system depended on the capacity of the human operator ‘to “identify himself” with his remotely-controlled machine, even though it may be completely non-anthropomorphic in appearance and configuration’. In effect, Clark wrote, ‘his consciousness is transferred to an invulnerable mechanical body’ which implies, in turn, that ‘systems of this type are no substitutes for human judgment’. (For this reason, while Clark believed that a ‘telechiric system’ could be provided with a variety of sensors, vision – ‘by far our most valuable sense’ – was typically provided through a single-channel, closed-circuit television system). Indeed, the capacity for judgment is enhanced by partitioning space, as Chamayou notes, placing the operator in a ‘safe zone’ outside the ‘danger zone’. The danger zone is a site of surveillance and intervention (‘by a cable or by a radio-link’), Chamayou underlines, but not a site of habitation. Where? The Air Force Special Weapons Center in Albuquerque, which was dedicated to R& D of atomic and other ‘unconventional’ weapns (which was presumably not especially interested in keeping the streets clean). And at the end of the 1980s Clark’s old employer, Hughes Aircraft, would buy a fledgling drone manufacturing company, Leading Systems, from Abe Karem (‘the dronefather‘), and then promptly sell it on to General Atomics which, with Karem’s assistance, became the company responsible for the Predator. Sand? Chamayou doesn’t mention it [‘sand’ in his French translation becomes ‘dust’], but in fact the anonymous author opened his commentary by noting that the publication of Clark’s original article ‘coincided with the flare-up in the Yemen…’ The ‘flare-up’ was part of a civil war in Yemen, in which royalists (supported by Saudi Arabia) were pitted against republicans (supported by Egypt) and Britain was engaged in a series of irregular, covert operations that were repeatedly denied in Parliament. By this means, Chamayou concludes, asymmetric warfare becomes unilateral: people still die, to be sure, but on one side only. And, as those hideous remarks I’ve just quoted make plain, the divide is profoundly racialized. My own inclination would be to make that plural – genealogies – and to identify multiple lines of descent, some of which (I think plausibly) can be traced back to the early twentieth century. But Chamayou excludes many of them, including ‘target drones’ and – more directly relevant – various ‘aerial torpedoes’, which he sees as forerunners of the cruise missile (which can only be launched once) rather than the combat drone (which can be used many times over). This distinction is useful, but it’s complicated by Project Aphrodite’s experiments with explosive-filled US bombers in the dog days of the Second World War, whose use of remote control and visual links – they’ve sometimes been called ‘video bombers’ – anticipates key elements of today’s remote operations (see also here, here, here and here). Chamayou does notice the American use of drones for aerial surveillance over North Vietnam – though he makes nothing of other elements, including the development of ‘pattern of life’ analysis and the installation of the sensor-shooter systems of the ‘electronic battlefield’ along the Ho Chi Minh Trail, both of which (as I argued in ‘Lines of descent’) were key elements in the much later development of unmanned aerial systems. But these developments came to nothing, Chamayou contends, and in the 1970s the development of military drones was virtually abandoned by the US: it was Israel that showed the way to the future. During the Yom Kippur War of 1973 the Israelis used ‘decoy drones’ to draw the fire of missile batteries and then sent in conventional strike aircraft before the Egyptians could re-load: Chamayou doesn’t note it, but those drones were designed and built in under a month by Abe Karem and his team. In 1982 the IDF repeated the tactic against Syrian batteries defending Palestinian strongholds in the Bekaa Valley. ‘Unobserved by the Marines, a miniaturized Israeli RPV (remotely piloted vehicle) called Mastiff had circled 5,000 feet overhead during Kelley’s visit. Despite its twelve-foot wing span (just a shade longer than a California condor’s), at that altitude the Mastiff couldn’t be seen by the naked eye. And with its fiber-glass body, it was almost impossible to detect by radar. Nor could the putt-putt of its two-cylinder 22-horsepower engine be heard. But a zoom-lensed video camera peering down from a clear plastic bubble in its belly had a splendid view of the touring general. On a signal from controllers more than 50 miles away, the mini-RPV left as furtively as it had come, and flew into a net set up outside its mobile ground station. As Schechter laconically put it, the Americans got the message, and in the 1980s their interest in developing remotely piloted aircraft for ISR (intelligence, surveillance and reconnaissance) dramatically increased. 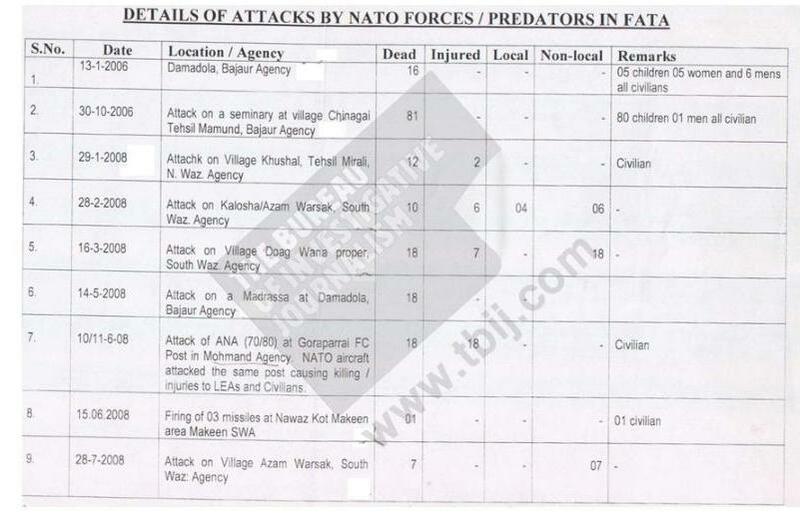 The Bureau of Investigative Journalism in London has published a confidential report, Details of Attacks by NATO Forces/Predators in FATA, whose tabulations cover more than 70 drone strikes in Pakistan’s Federally Administered Tribal Areas between January 2006 and October 2009. 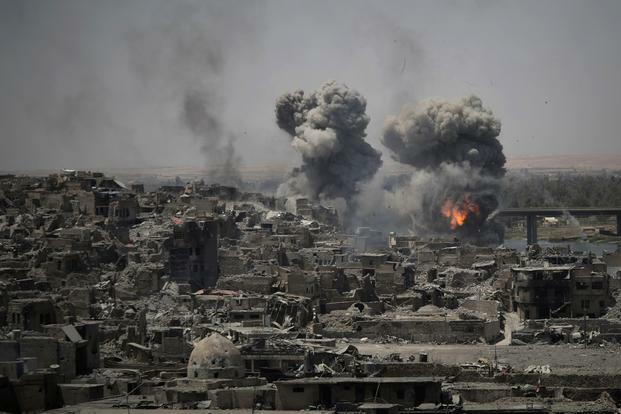 It’s an incomplete list – the Bureau has a more comprehensive tabulation – but of the 746 deaths from these air strikes 147 (20 per cent) are identified as civilians (including 94 children). There have been rumours of more comprehensive tabulations, but the Bureau acknowledges that much also depends on information provided by the Pakistani military. And it would be interesting to see a comparable list of casualties resulting from Pakistan’s own air strikes in the FATA.